American soul singer, John Legend had a pretty rough landing in New York city when someone at JFK airport stole his luggage with some very expensive items. John arrived at JFK on Thursday when a Delta greeter made a mistake and left his bag on the luggage cart. Someone grabbed the bag while it was left unattended. We’re told the bag contained a pair of Cartier Panther cuff links with clear and green stones, valued at $30k. The clothes inside were valued at $500, and there was a $500 pair of eyeglasses. 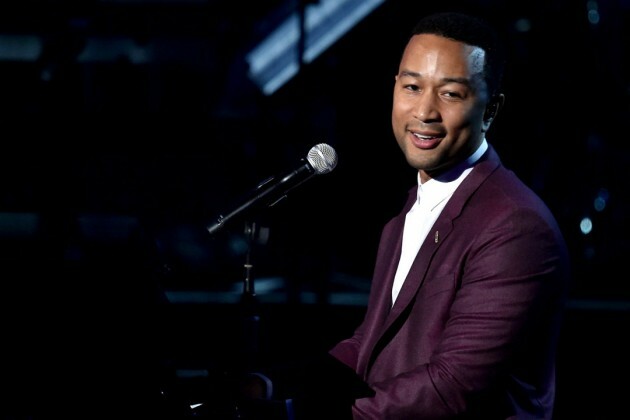 It’s unclear if the thief knew he was stealing John Legend’s suitcase. Cops were able to use surveillance video to nab the culprit, and John got his bag back. The police said the thief was John’s livery driver, but Legend says that was not the case. We circled back with cops who say the thief was a livery driver who has had multiple problems with the law at JFK.